The portrait of a young gentleman is signed by an elusive monogram, in which C. Hofstede de Groot noticed a certain resemblance to that used by the Arnheim artist Margaretha Wulfraet. It might, however, be profitable to also look for the artist among the wide circles of Central European, late 17th and early 18th century painters who were deeply influenced by Dutch art. In the portrait, there is some awkwardness both in proportions of the figure and in the handling of the paint, but the monogrammist has been quite successful in rendering the vivacious personality of the young gentleman. Why we chose this painting? It hasn’t been displayed often or exhibited noticeably. We also consider early female artists interesting, too. The portrayal of the person is performed with emotion and intimacy. 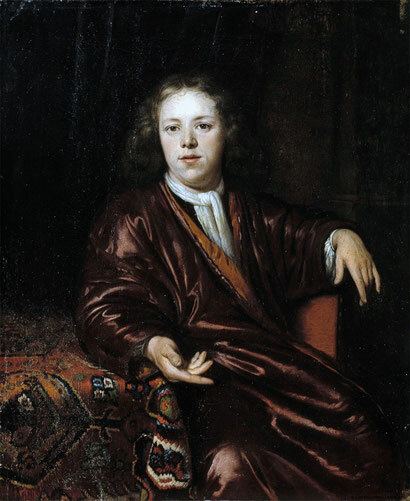 There are also fine and interesting details in the portrait such as details of the textile lying on the table. 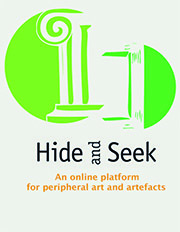 We also wish to find more information about the attribution and the artist.